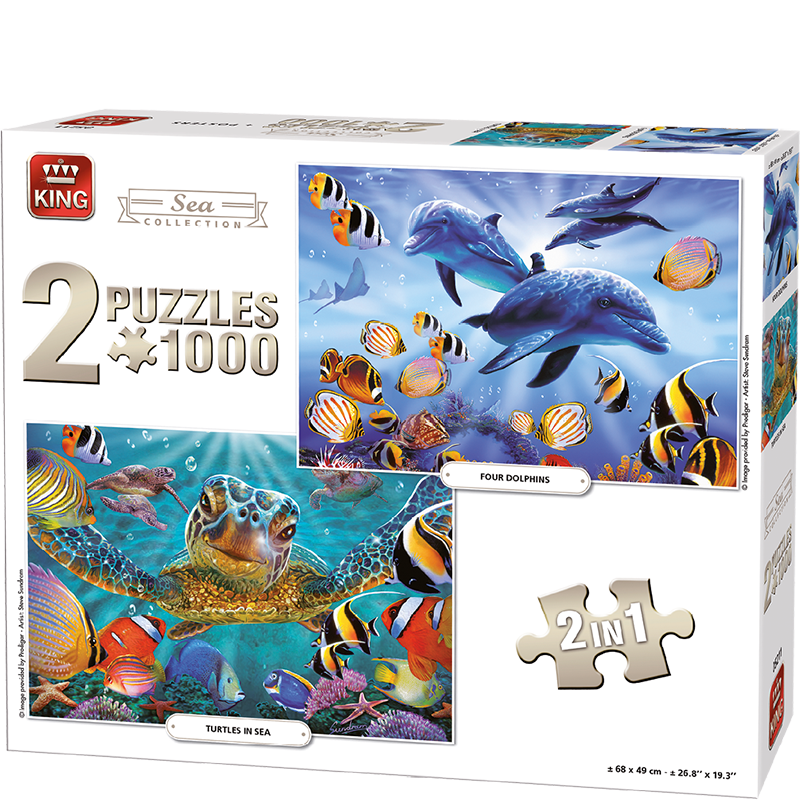 A 2in1 puzzle with lovely images from the Sea Collection. An image of Dolfins together with colourful fish. A close up of a sea turtle surrounded by other animals. Two 1000 pieces puzzles unique in their own way.